My kids and I have rushed off to the Utsunomiya Museum of Art a few days ago. Now the special exhibition “Taikan Yokoyama Retrospective”, which marks the 15th anniversary of the museum,is going on there. You need to hurry – this ends on October 14th! 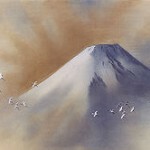 Taikan Yokoyama(1868 – 1958) is one of the most famous Japanese artists. He developed the new style of Nihonga in the pre-World War II Japan. His technique eliminates the lines and creates soft, blurred brushwork. A great number of his works have been classified as Important Cultural Property by the Agency for Cultural Affairs. 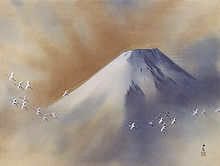 This exhibition covers Taikan’s various works, ranging from famous Mt.Fuji paintings to the posters/post cards/book covers/ kimono designs,etc., which are often considered as peripherals. When we arrived at the museum, many tourists had just come out of the tour bus. I seldom see so many tourists around there on weekdays. This tells Taikan Yokoyama exhibition attracts lots of people from different places! The Utsunomiya Museum of Art is located in the Utsunomiya Cultural Forest, which is full of the autumn beauty now. My kids and I enjoyed catching insects and picking up acorns on the way to the museum from the parking area. 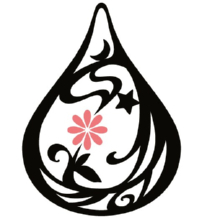 *The following is the official site of the Utsunomiya Museum of Art (Japanese only). You can see some of the Yokoyama Taikan’s works, exhibited at the museum. This was one of the 90 portable shrines. 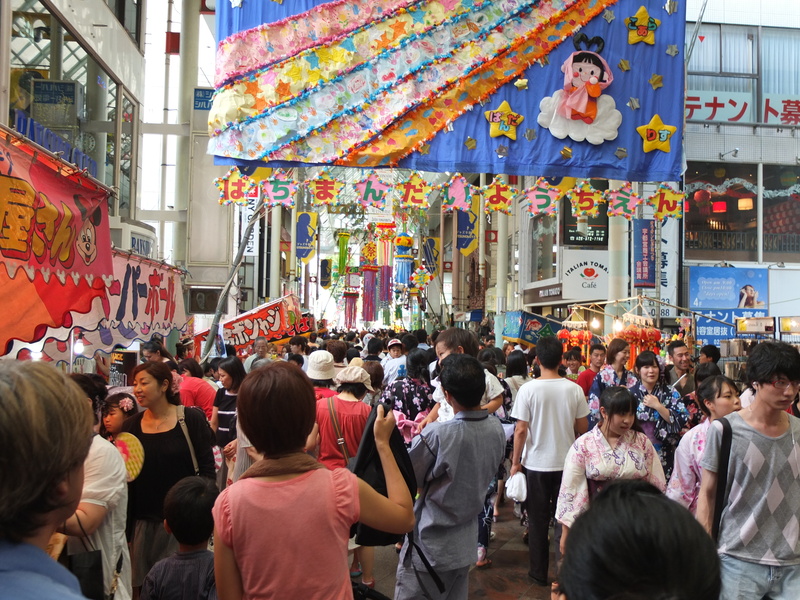 The 37th MIYA MATSURI (Utsunomiya Summer Festival) was held on August 4th and 5th. My friends, my family and I went to the festival on August 4th. Actually, it was my first time to experience this festival since we had moved in this city 6 years ago. 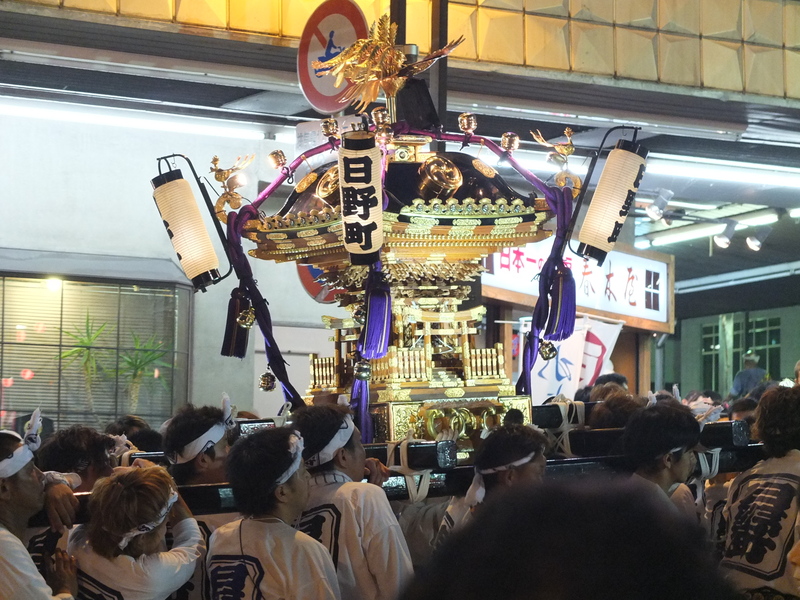 The total number of mikoshi (portable shrines), which paraded the town throughout 2-day-festival, were 90! And about 3,500 kids (under age 6) joined the parade on the second day. 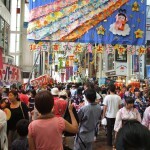 The following is the official site of MIYA MATSURI. Various pictures of Japanese traditional performing arts can be checked! This is the Orion st., main street of the city. I had rarely seen so many people at one place in Utsunomiya. 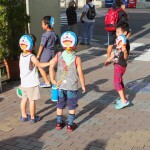 At first, I had felt like all the Utsunomiya citizens visited this festival. 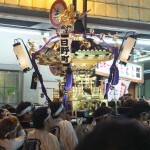 But I heard that people from different places as well as Utsunomiya citizens come and enjoy the festival these days. We enjoyed the night – watching the parade, tasting street food, buying masks, etc. I hope even more people will come and feel the hot Utsunomiya next year! 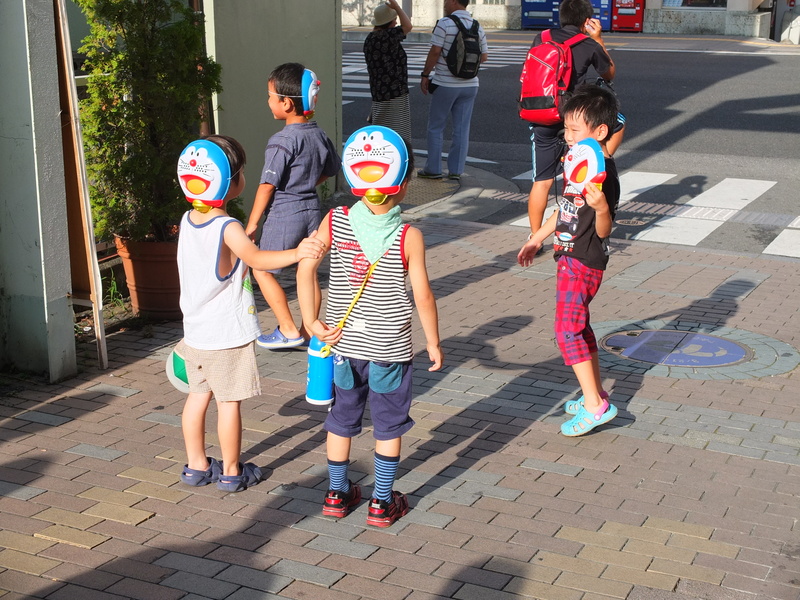 Our kids were happy to wear Doraemon masks. The temperature in Utsunomiya goes up to 35℃ or even higher these days. 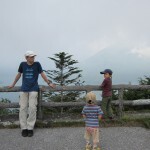 My family and I decided to take a day trip to Oku Nikko last Monday. Yes, that was the right place to cool down ourselves. 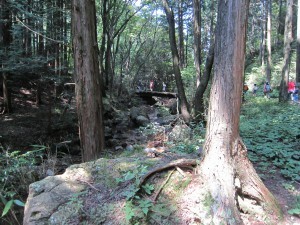 The temperature of Oku Nikko was around 25℃!! It felt great!! 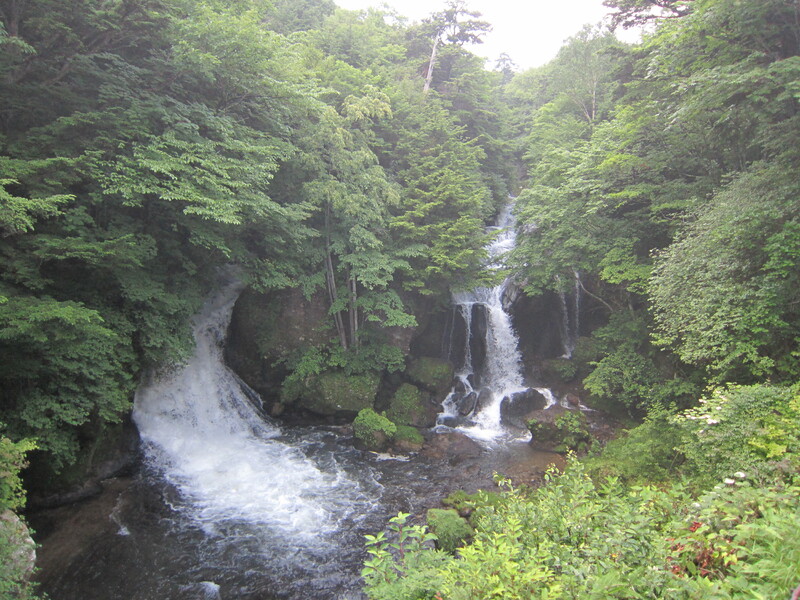 Those pictures of the waterfalls make me feel good even after coming back to the hot city of Utsunomiya. 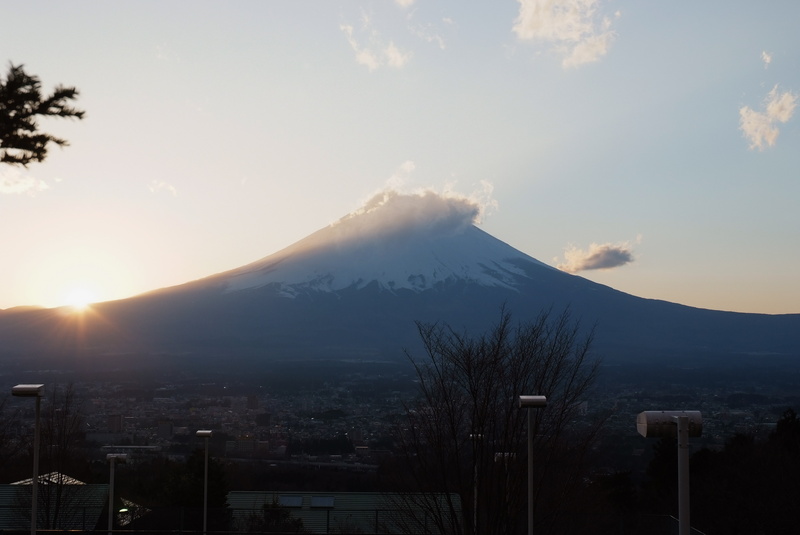 One of the most celebrated of its kind in Japan! Ryuzu-no-taki literally means "dragon head waterfall." 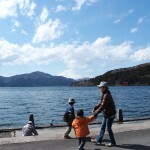 From here, we could see Lake Chuzenji and Mt.Nantai. This time we didn’t have enough time to go up to the observatory deck, but it was cloudy anyway. 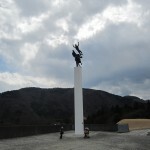 This is the view from the parking at Hangetsuyama. 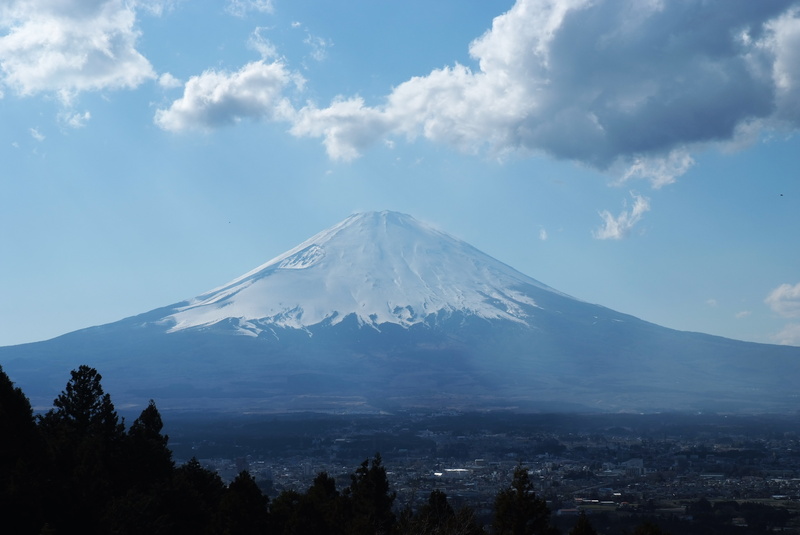 Nantaisan (Mt.Nantai, also known as Nikko Fuji) was not clear then, but I’m sure it would be one of the best spots to appreciate the beautiful Mt.Nantai. I wish I would be back again when it’s clear. 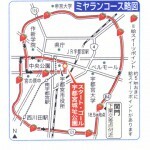 Last year, I introduced Utunomiya Shinrin Koen (Utsunomiya Forest Park) as a stage of the world cycle road race, called Japan Cup. But today, let me share other fun experience at this park. My family and I participated in a church camp there. 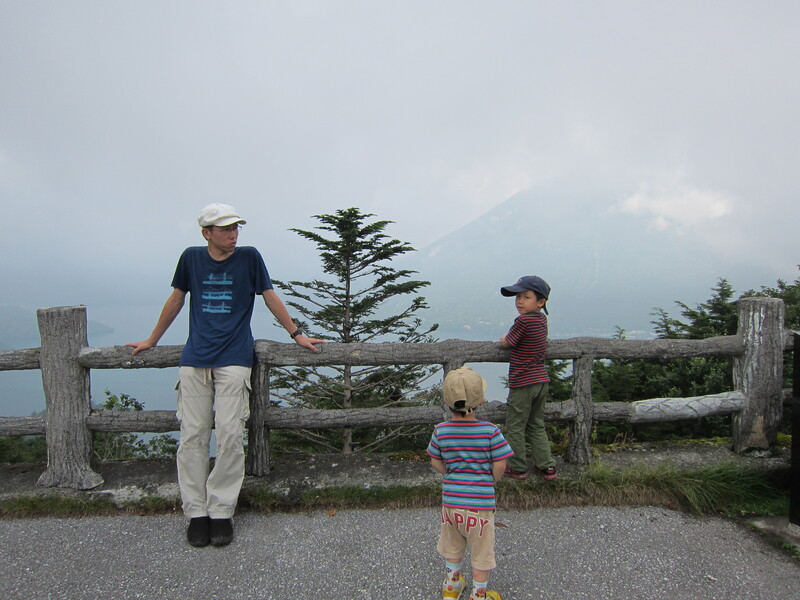 My elder son and other members tried climbing Mt. Kogashiyama. 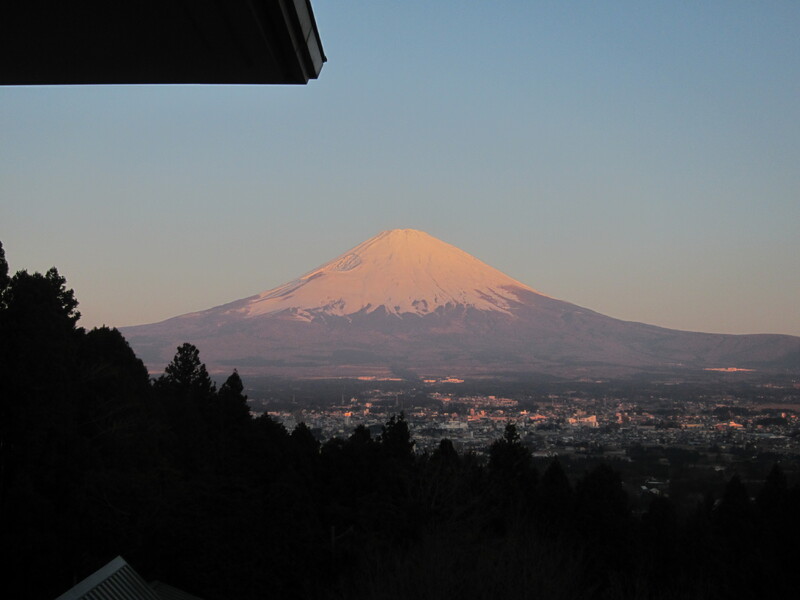 The mountain is not that high (only 583m above sea), but it was such a challenge for 5-year-old-kids to climb it. Some parts were so steep and rocky! While the company was climbing the mountain, my younger son (age 2) and I were cycling around the park. We really enjoyed the beauty of the forest and felt refreshed. The park also provides camping site, lodging facilities, the site for campfire and BBQ, and fishing site, etc. 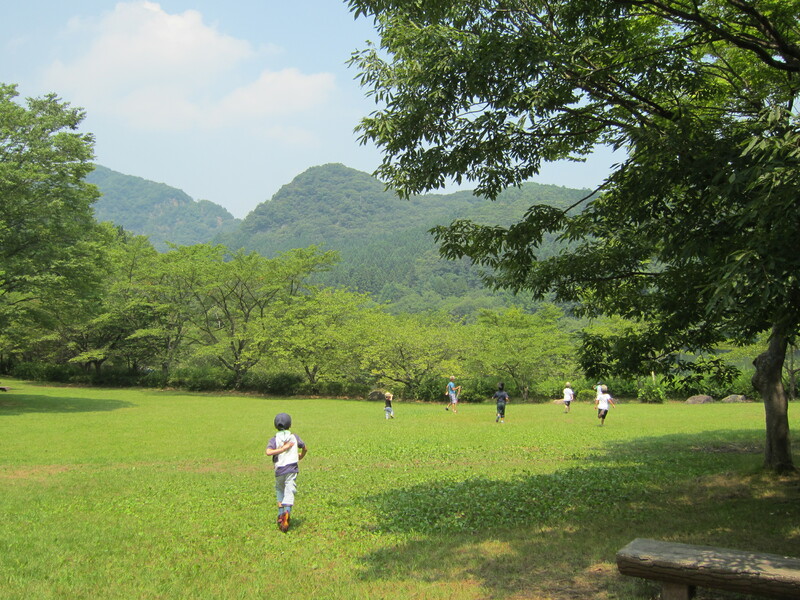 Can you imagine Utsunomiya Shinrin Koen is just 20 minutes away from the center of Utsunomiya city? The special exhibition – the Essence of Finnish Design and Culture-is now held at Utsunomiya Museum of Art. What does Finland remind you? Moomin characters? Good designs of crafts? Santa Claus? Etc. 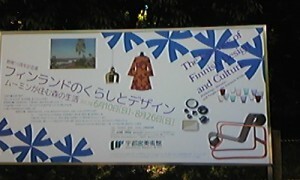 The Marimekko textiles and dressed are exhibited. The exhibition shows you about 350 artworks, raging from paintings, architecture, crafts, to Moomin series. What impressed me most were Marimekko textiles, which I thought symbolized the essence of Finnish lifestyle. The exhibition has been traveling across Japan. 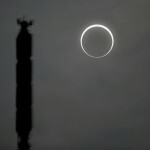 Annular solar eclipse wowed millions of people in Japan on May 21, 2012. My neighbors and my family also witnessed this rare event together in Utsunomiya, Tochigi. The eclipse started at 6:30 AM here in Utsunomiya. Although my family and I were busy getting ready for kindergarten and work at that time, we cheked the sun from the window every five minute. The sun seemed to start waning like the moon. My yonger son insisted that it was not the sun, but the moon! 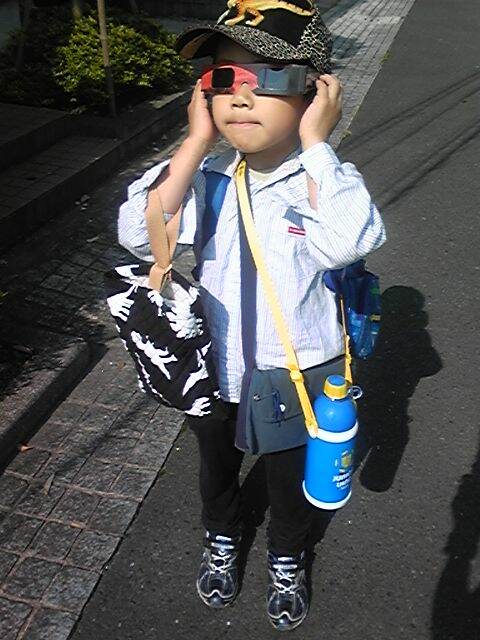 At around 7:00 AM, my neighbors and my family came outside with the special sunglasses. The more part of the sun got covered by the moon, the gloomier and colder it got. The golden ring continued from 7:34 to 7:39. It amazed us all! 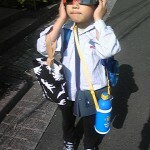 The style of the eclipse boy - Kids left for school right after viewing the eclipse! 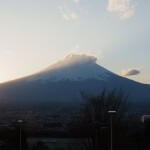 The news said that the thick cloud prevented many people from viewing this special event in various parts of Japan. Fortunately, my neighborhood observed littld cloud. The next annular solar eclipse will be observed only in Hokkaido on June 1, 2030. Killer whales are what my boys had dreamed to see!! 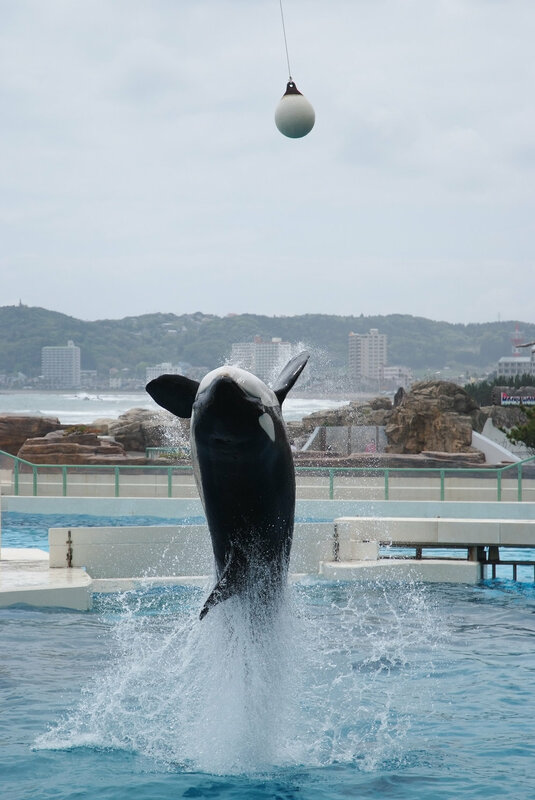 The last Golden Week was the chance for my family and me to visit Kamogawa Seaworld, which is famous for the dynamic killer whale performance in Japan. These photos were taken by my husband. (View them larger by click!) He concentrated on catching the moment of the killer whale somersaulting and kicking a ball!! The audience in the front section got wet to the skin. 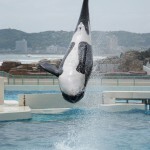 The killer whale ready to somersault! The killer whale kicked the ball - out of the field! 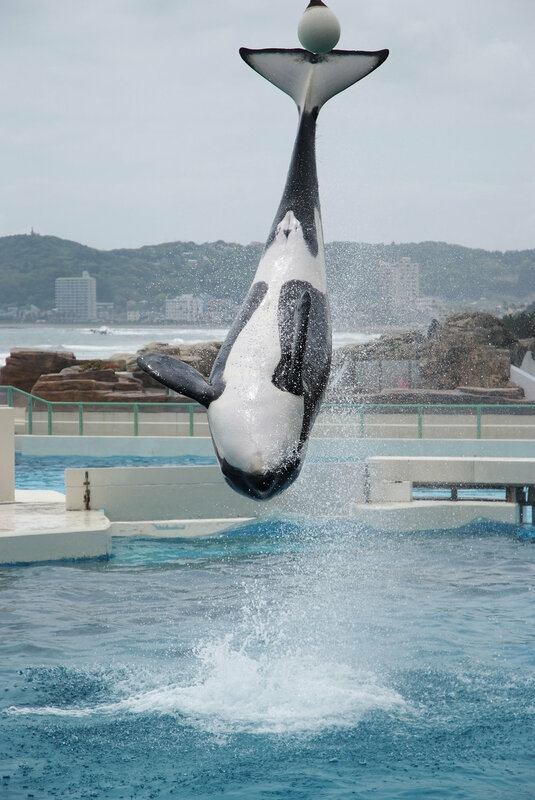 Besies the performance of killer whales, Kamogawa Seaworld puts on various performances of sea lions, dolphines, beluga white whales. We could cover all performances in one day. Can you see the sea lion’s smile? When the sea lion lifted up its lips and made a smiling face, all the audience bursted into a hearty laugh! 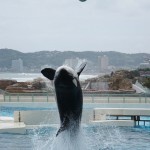 Kamogawa Seaworld would be a good destination of a one-day trip from Tokyo. 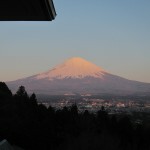 It’s about 200km from Utsunomiya, where we live. It’s about 100km from Kashiwa, where my parents live. This time we made a one-day trip (by car) from my parents’. was released on April 28, 2012. Since then, it has amazed more and more people! The original manga is written by Mari Yamazaki. 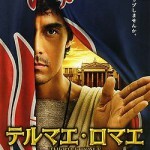 The movie is directed by Hideki Takeuchi and distributed by TOHO. I had a chance to see this movie! 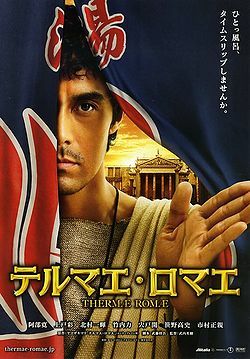 Let me say this is one of the best movies I’ve ever seen – from cross-cultural and comparative cultural point of view, from comedy point of view, from historical point of view, and from TOCHIGI point of view!! 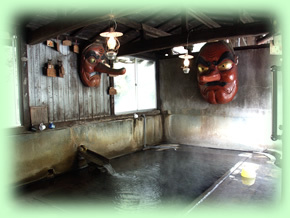 Here is the English website of Kita-Onsen. Miya-run started at the Utsunomiya castle. 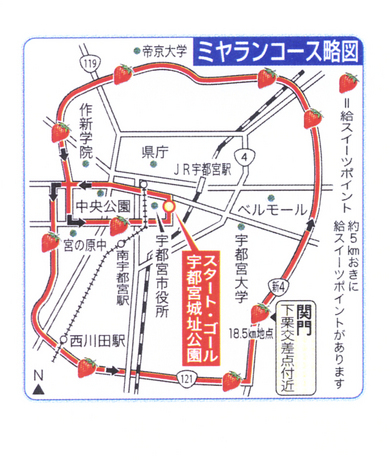 The marathon course for MIYA-RUN passed along the Utsunomiya belt line of 42km. 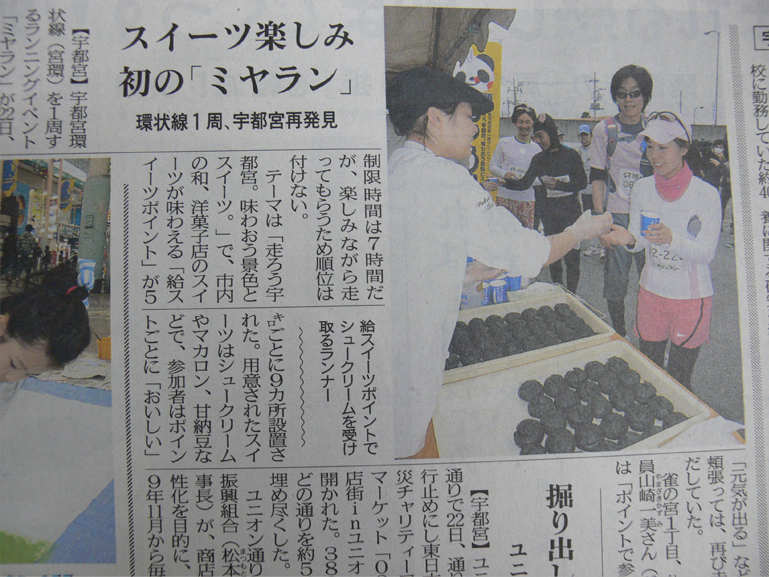 During the event, the runners were offered Utsunomiya sweets at every 5 km, 9 points in total. 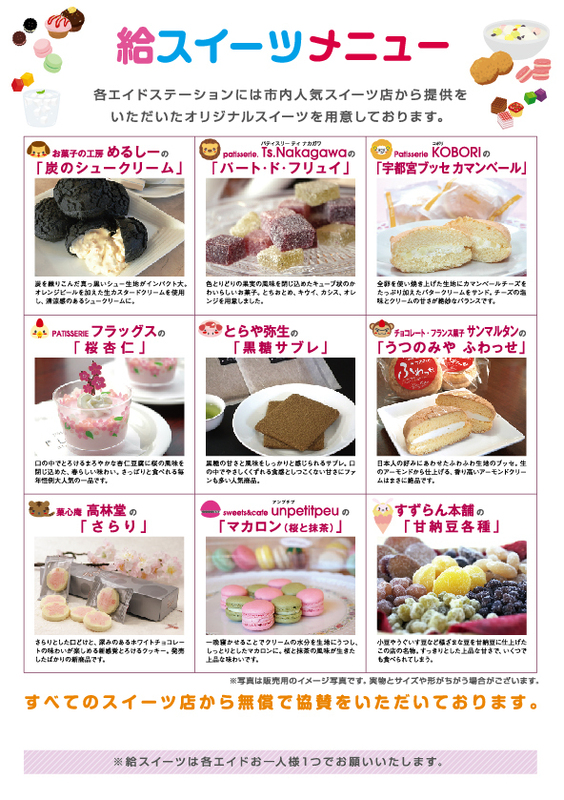 The picture shows what sweets they were offered. 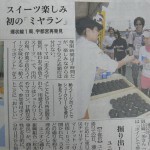 I hadn’t known about this event until it was reported on the Shimotsuke newspaper on the next day. The Shimotsuke reported MIYA-RUN on April 23rd. I wish I could have participated in this fun event! 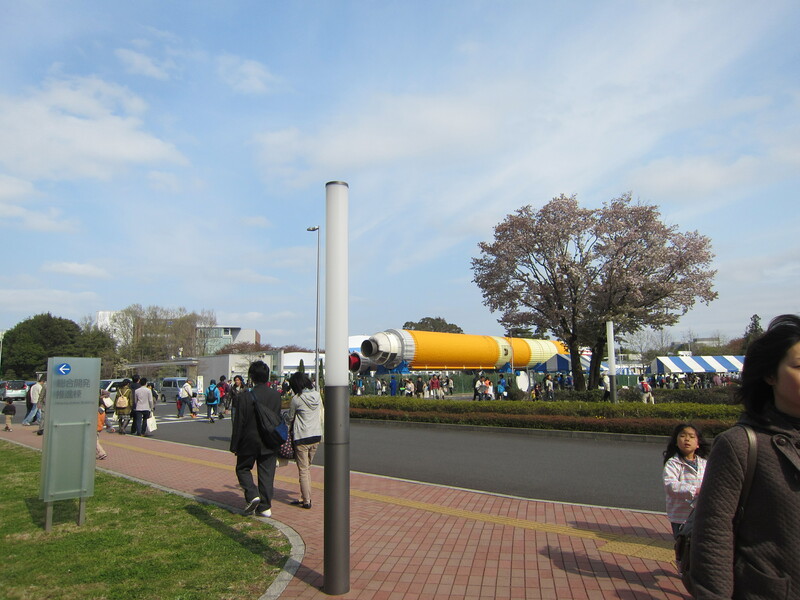 A rocket is located at the gate to JAXA. 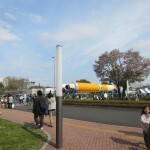 JAXA annual open-house event for Science and Technology Week was held at the Tsukuba Space Center on April 21, 2012. Its catch phrase is: “Come to TKSC! The place that is the closest to space” Please visit our facility with your friends and families. My family and I visited the event! So many people gathered at this hot opportunity!! Though we couldn’t try plastic-botttle rocket making and treasure hunting using the MICHIBIKI satellite & GPS, we really enjoyed the lectures by astronaut Hoshide and JAXA employee Uchiyama (Kounotori, HTV). Also, the exhibition of space solar power system was interesting even for my kids. 3D movie conveyed the sensation of extravehicular activities in space. 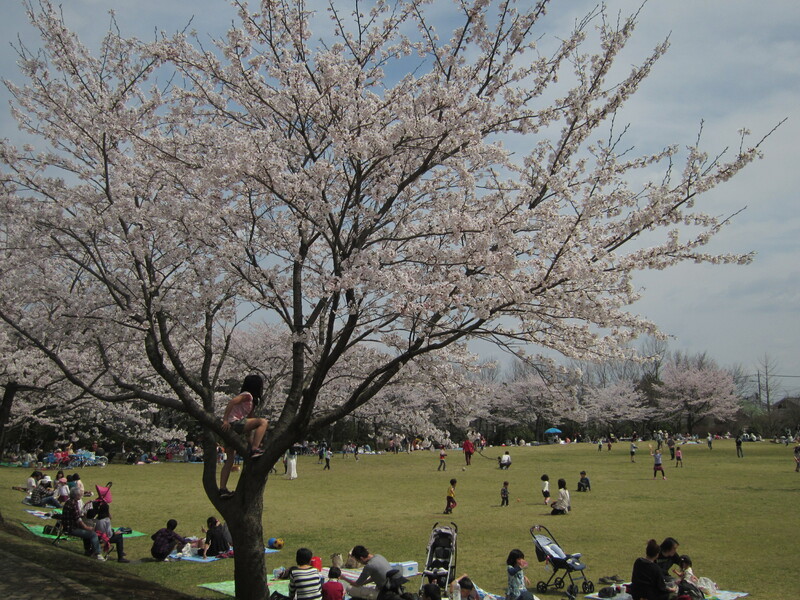 This weekend is the best timing for “Ohanami”(cherry blossom viewing) in Utsunomiya. Bloomy cherry blossom made people happy and exciting! 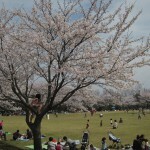 People enjoyed Ohanami at various parks under the beautiful sunshine on Sunday. So did our neighbors and my family at our nearest park. Parents enjoyed drinking, while kids ran around. 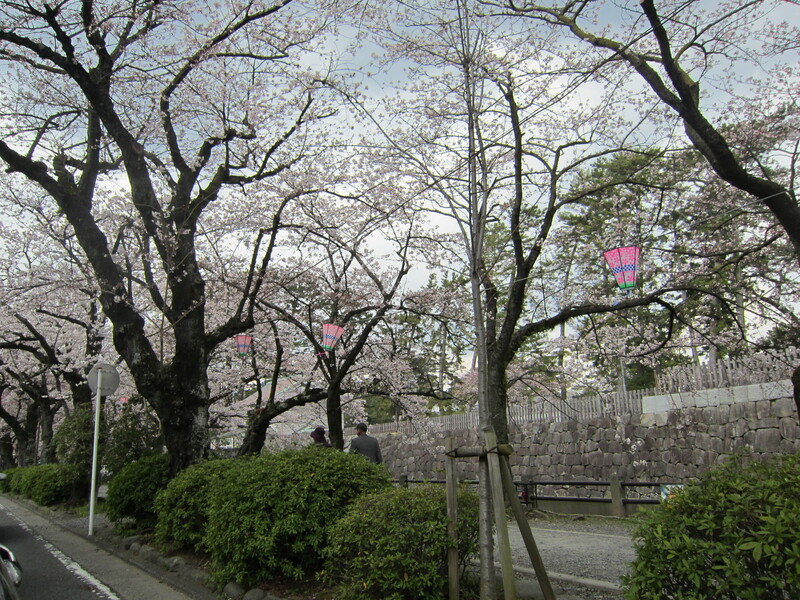 “Sakurazensen”,which indicates the “front line ”of the bloomy cherry blossoms, keeps going north. 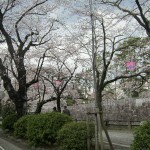 Tohoku region will soon welcome bloomy cherry blossom!! 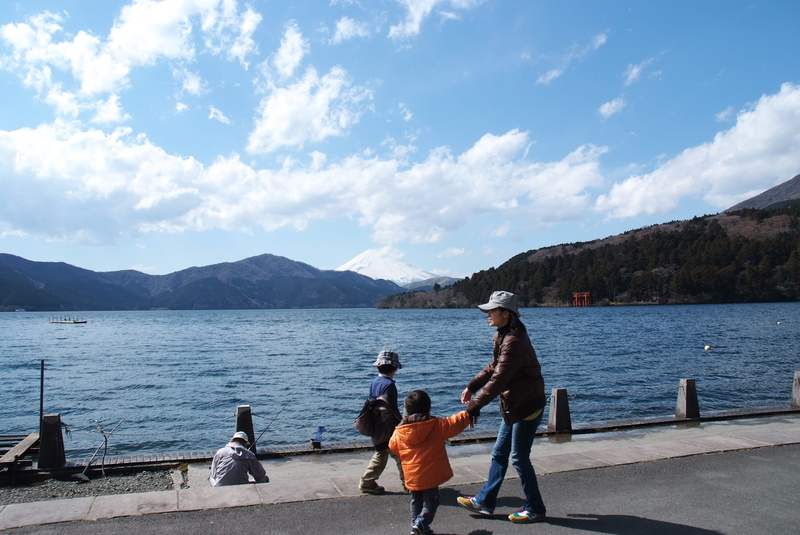 My family and I took a trip to Hakone & Gotemba near Mt.Fuji. 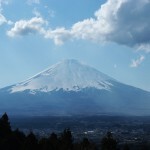 Let me share the beauty of Japan! On the way to Hakone from Utsunomiya, we stopped by at the Odawara castle in Kanagawa, where people enjoyed cherry blossom viewing – ohanami. The Hakone Open-air Museum was one of the places where I’d wanted to take my kids! This trip brought us the chance to visit this beautiful museum. We could put ourselves in the harmony of the art and nature. Utsunomiya Museum of Art had been closed for about a year and it reopened on March 24, 2012. It focuses on what Camille Pissarro had in common with the other Impressionist painters. 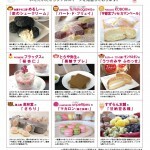 April 1st was Utsunomiya Citizen Day, and the entrance fee was free for Utsunomiya citizens. Many people, including my family and I, really appreciated the exhibition. Here are other good news: On Family Days (April 15th and May 20th ) , the fee will be free if adults come with children under age 18. 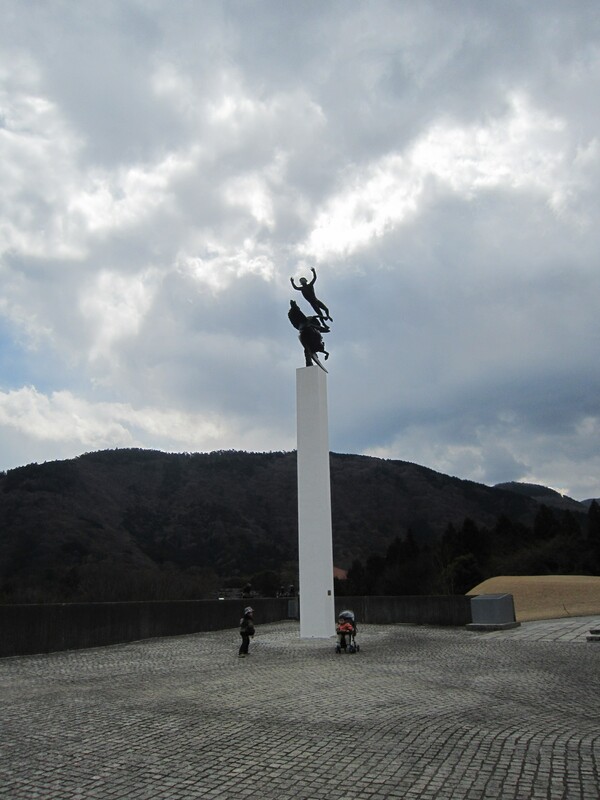 The museum is located in the park, which is called Utsunomiya Cultural Forest. Its weedy hill includes some art figures. We had lunch at the park under the beautiful sunshine after enjoying Pissaro. The following site shows the park map and you can see it is surrounded by beautiful nature. 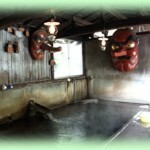 be off is a Oya stone studio. 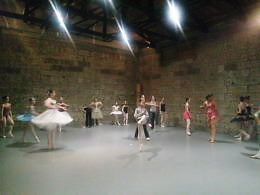 I joined the ballet performance on March 18th, which was held at the studio “be off.” This studio is made of pale green Oya stone. What is Oya stone? It was formed by the exlosion of a vocano about 20 million years ago. 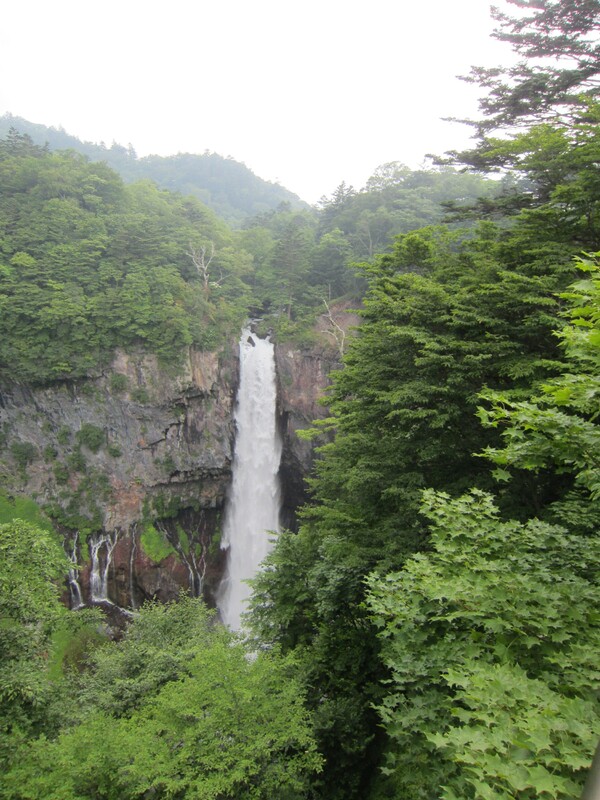 It is mined in Oya region, Utsunomiya, and mainly used as building materials. 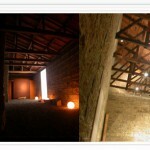 The characteristic of Oya stone is soft and light. Besides, it has warm atmosphere. It was such an experience to dance in the Oya stone studio. The music spread to the whole space!! 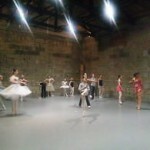 The ballet performance was held at be off. TOSA BUNTAN season has come. 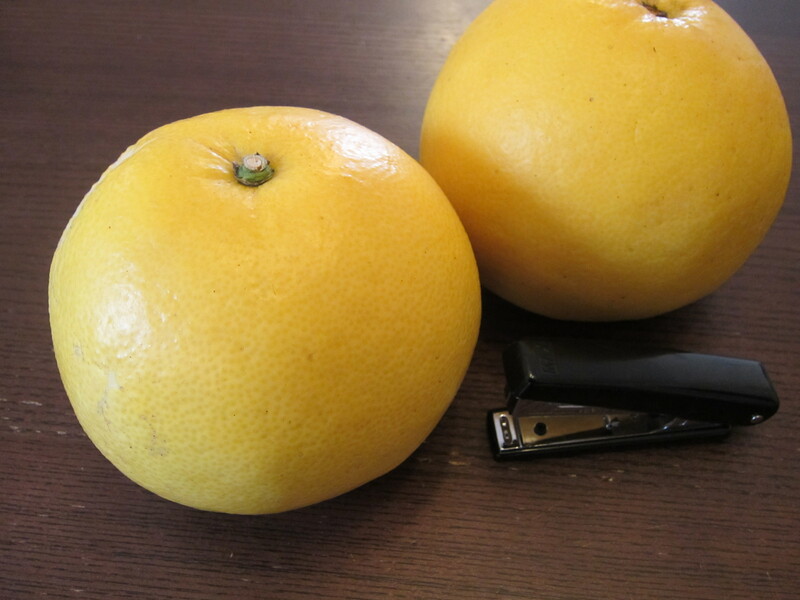 I received a box of TOSA BUNTAN (citrus grandis) from a friend of my mother’s, living in Kochi prefecture. Can you see how big it is? Compare its size with a stapler beside. In Japan, there are about 40 kinds of Buntan. 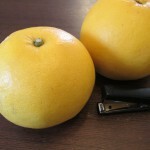 TOSA BUNTAN is the one that is produced in Kochi prefecture. This is big enough, but there are even bigger kinds. When I peel it, the refreshing smell of citrus spreads the whole room. Its taste reminds me that spring is coming closer to Kanto area though the ground in Utsunomiya, Tochigi, is still covered with slight snow. This amount of marmalade was made from just two BUNTAN peels. 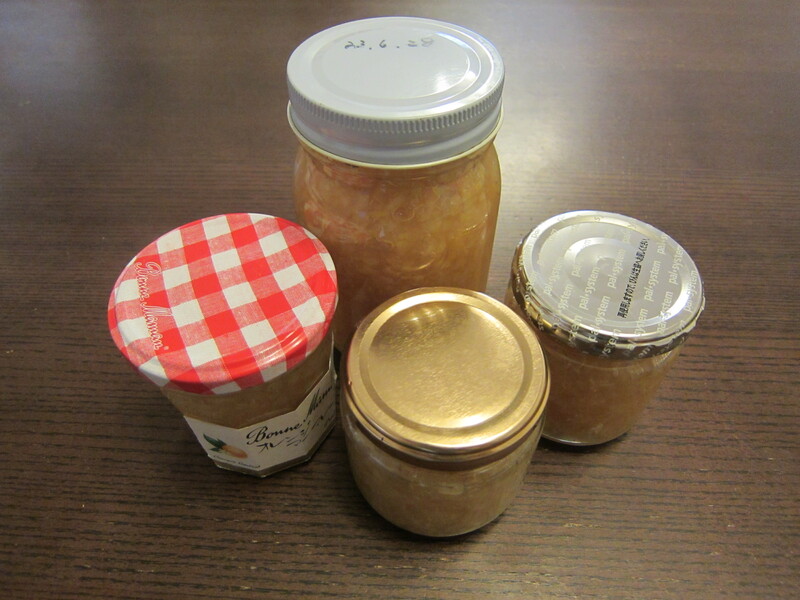 I made marmalade from two BUNTAN peels. 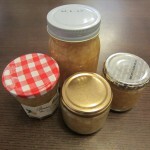 It took two days to complete marmalade, but this is one of my favorite waiting-for-spring cookings!